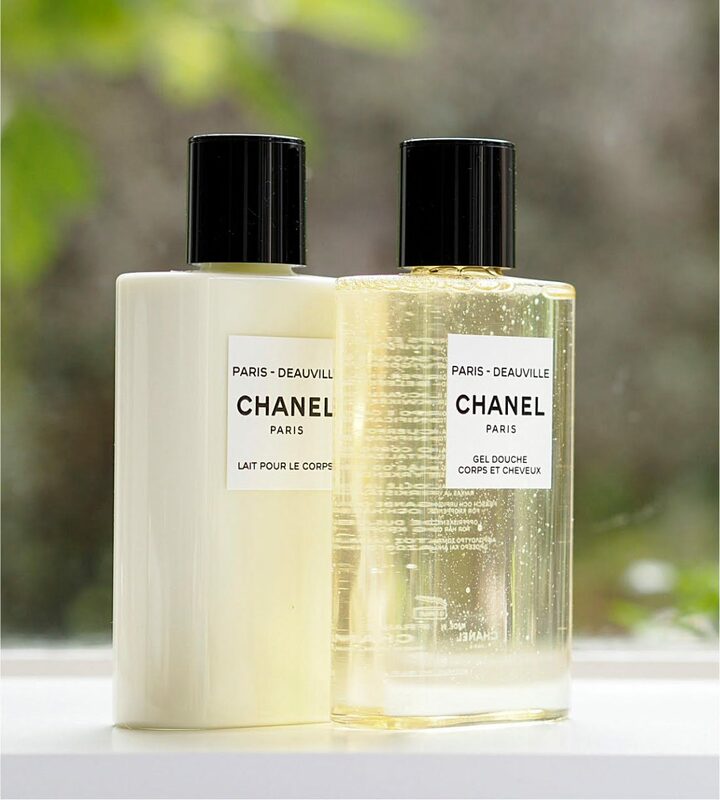 After the success of Les Eaux de Chanel over the summer (three bright and fresh fragrance waters linked to places that had meaning to Gabrielle Chanel) along come the toiletries. 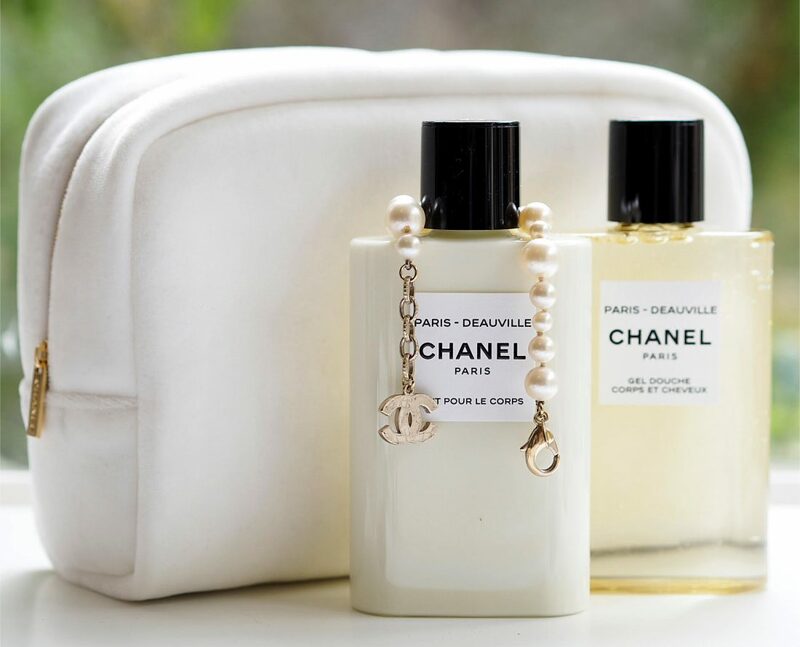 I love that Chanel sticks rigidly to the word ‘toiletries’ when everyone else is using ‘bath and body’. 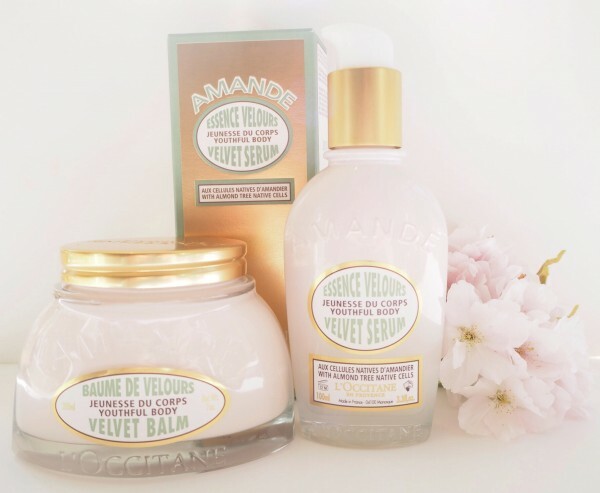 I have the Paris-Deauville versions of Shower Gel and Body Lotion which have launched alongside Paris-Biarritz and Paris-Venise bath and body products. Deauville is a fresh, orangey fragrance that’s not overly sweet and has a backdrop of rose and jasmine to round out the citrus. 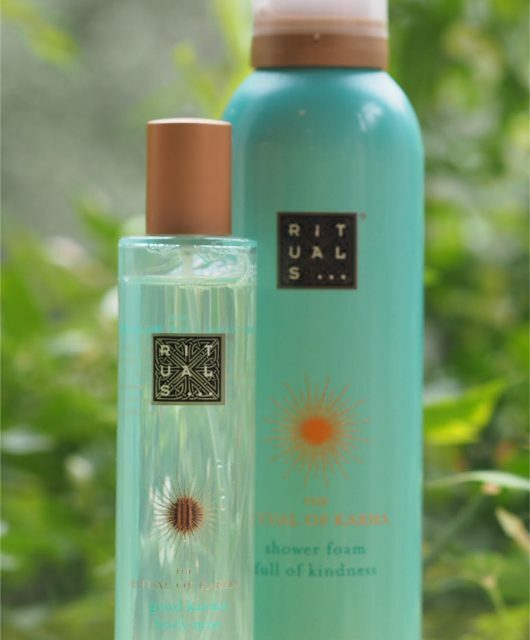 As you’d expect, both are top end when it comes to this category of product – the shower gel and body lotion are housed in plastic bottles whereas the fragrance waters are in glass but otherwise, the packaging is the same in look and style. 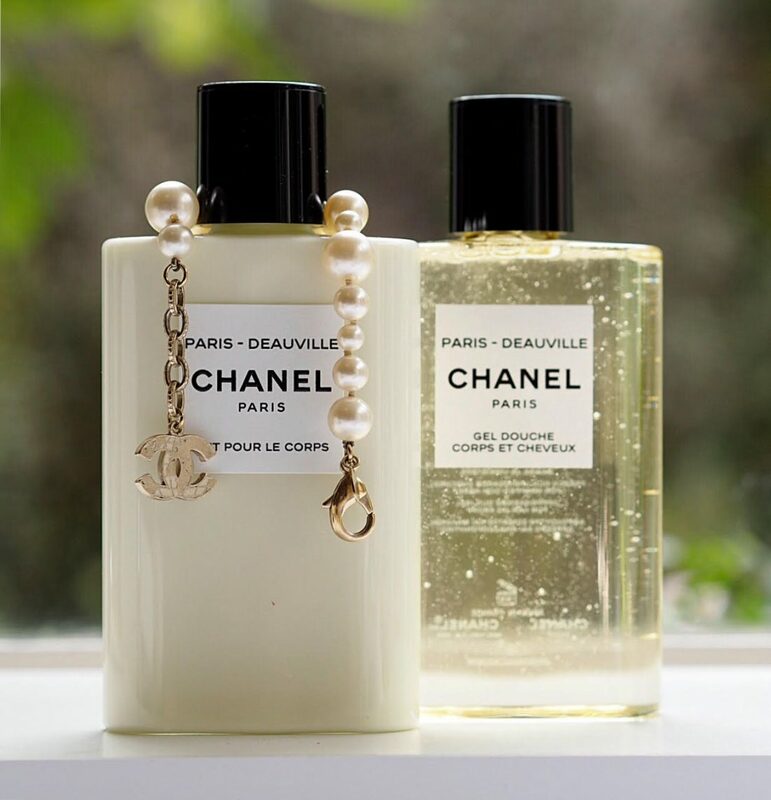 If you want more of a last, go for the body lotion, £44, that leaves a light fragrance trail on your skin, but if a moment in Deauville will do you just a nicely, the shower gel is £38. 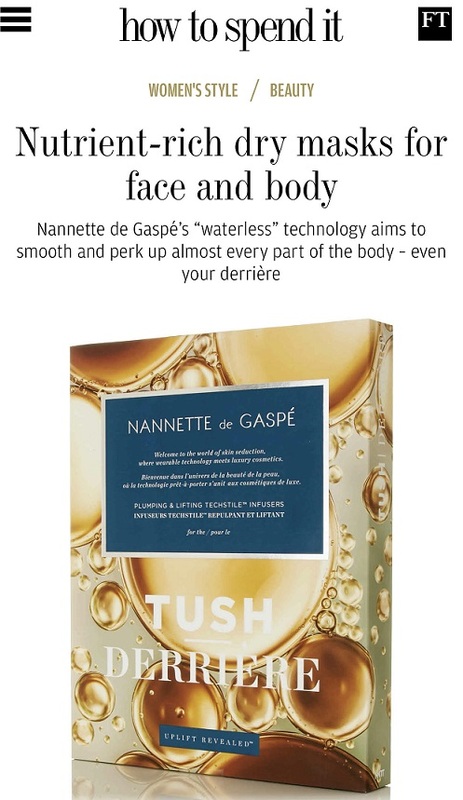 Fragranced shower gels or bath foams always have the soap element to contend with whereas a fragrance has no such battles – I found the shower gel to smell cleanly soapy with a light scent of Deauville that will be heightened if you’re using both shower and body but otherwise might not quite leave enough fragrance on your skin. You can also use the shower gel on your hair if you want to. 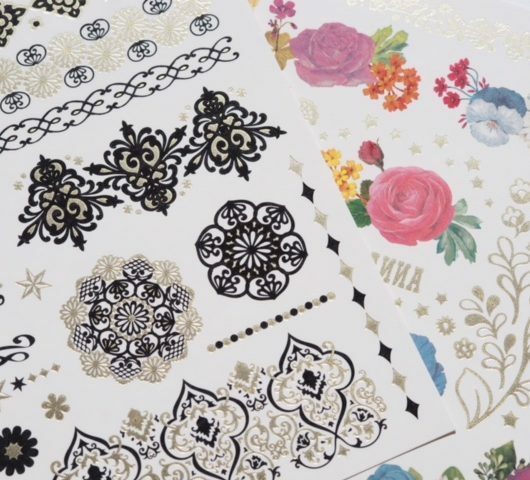 There’s just nothing not to like here if you’re a fan of Chanel fragrance – it’s that same familiar thread running through these as runs through the fragrances, but without the same level of spend commitment. 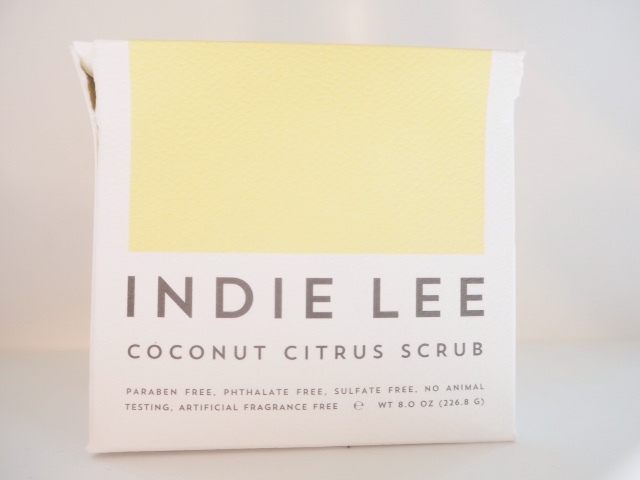 I usually get quite a lot of feedback on the toiletries – more, in fact, than the fragrances themselves and I think there’s something more ‘allowable’ about bath and body treats than a full on perfume. These are me-time plus, plus, plus :-). 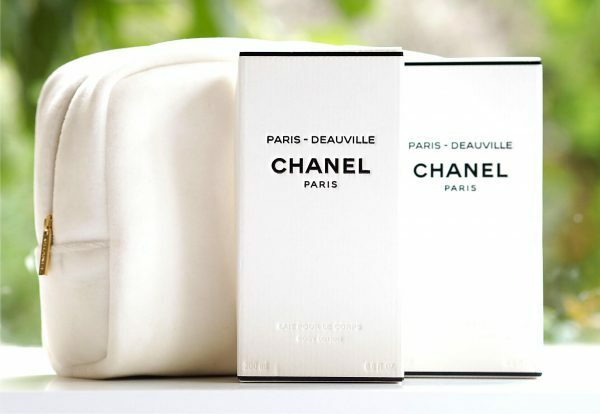 You can find the range of Les Eaux de Chanel toiletries HERE. Deauville is so orangey – it’s the predominant note in a crisp and fresh form boosted by petit grain and made green with basil leaves. It’s as bright as fragrance comes and a true summer sparkler. 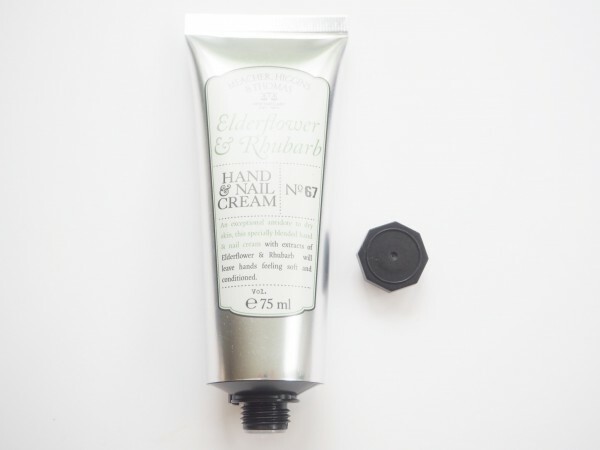 There’s a tiny bit of sweetness provided by floral notes of rose and jasmine but they’re not interfering with the citrus element – neither is patchouli which exists at the base. It’s completely wearable and an absolute joy. Just ordered the Deauville lotion. I am counting the minutes! I doubt it’ll come in a gorgeous white pouch but it sounds like my ideal fragrance. Yum!